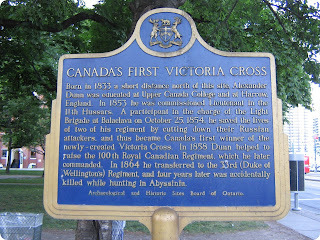 Today in 1854 Lt. Alexander Dunn of Toronto took part in The Charge of the Light Brigade. 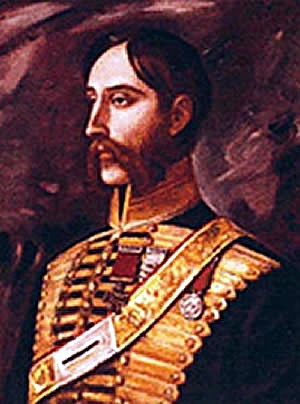 He became the first Canadian win a Victoria Cross for bravery when British and French cavalry charged a Russian Stronghold in Balaklava, Russia. 673 men began their charge at 11:00 am. Just 195 turned out for roll call that evening. 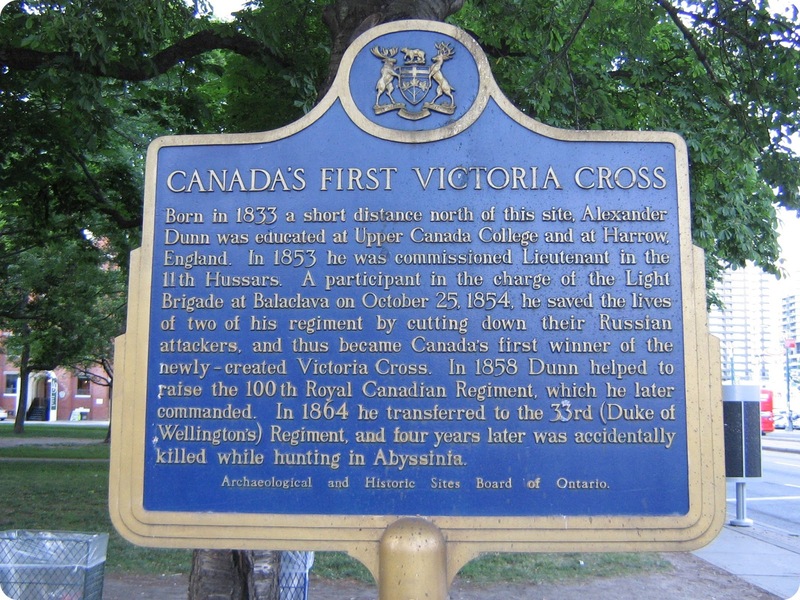 110 cavalrymen of Dunn's 11th Hussars began the charge, but only Dunn and 24 other men survived. Was there a man dismay'd ? 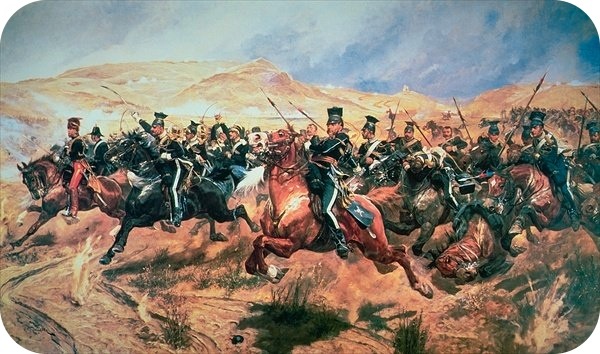 Honour the charge they made!